A deadly train crash at Cairo's main station which left 25 people dead was triggered by a brawl between two conductors. 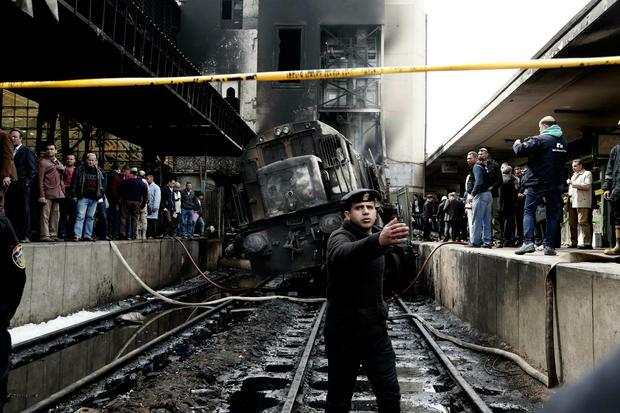 Prosecutor General Nabil Sadek said the conductor of the train that rammed into a station barrier Wednesday and caused a huge explosion and fire had left the vehicle without putting on its brakes. He said the driver left to fight with another conductor who had blocked his way with the train he was driving. Health officials said at least 25 people were killed and dozens more injured in the crash and ensuing fire. 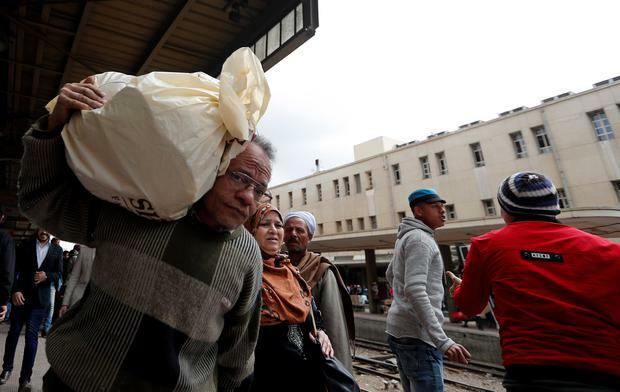 Mohammed Said, the head of the Cairo Railway hospital, said there were concerns the death toll could rise further. 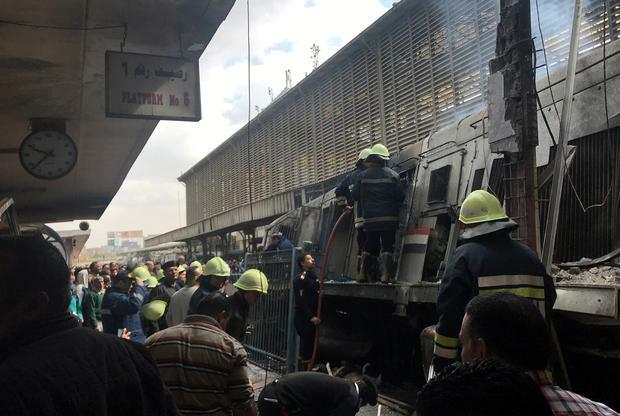 Photographs from the station showed charred bodies lying on the platforms at the Ramsis station in central Cairo as firefighters struggled to get the flames under control. Heavy black smoke rose into the sky as ambulances rushed to the scene. The Ramsis district is among the busiest and most crowded areas of the Egyptian capital. The state railway agency briefly halted all train traffic and ordered the evacuation of the station. Videos from surveillance cameras inside the station showed flames ravaging the station. A video that surfaced on social media showed men and women carrying bags and personal belonging and walking on the rail platforms as the train crashed and exploded. Another video showed men and women running, searching for exits after the explosion. A man runs back and forth, his shirt on fire, until another man rushes to pour water on him. Egypt's prime minister Mustafa Madbouli said authorities must determine "who caused the accident and hold that person accountable". He promised "harsh punishment" for the culprits. Egypt's transport minister Hisham Arafat later resigned. Egypt's railway system has a poor safety record, mostly blamed on decades of badly maintained equipment and poor management. Official figures show that 1,793 train accidents took place in 2017 across the country. In March last year, President Abdel-Fattah el-Sissi said the government lacks about 250 billion Egyptian pounds, or £10.7 billion, to overhaul the run-down railway system. Mr el-Sissi spoke a day after a passenger train collided with a cargo train, killing at least 12 people, including a child. And in August 2017, two passenger trains collided just outside the Mediterranean port city of Alexandria, killing 43 people. In 2016, at least 51 people were killed when two commuter trains collided near Cairo.